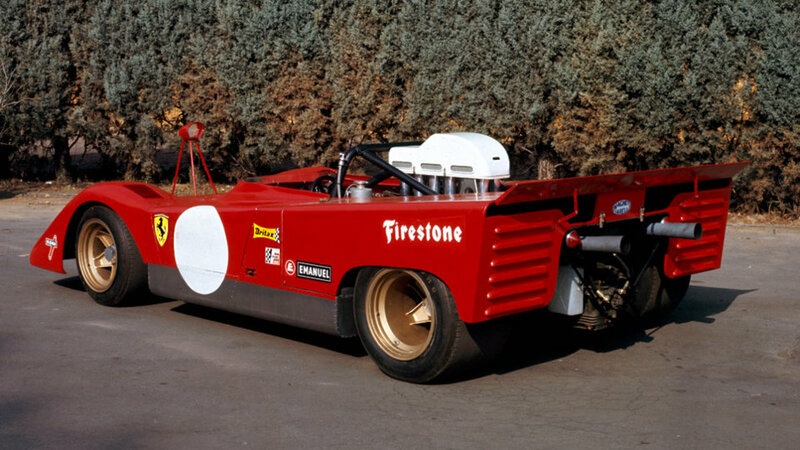 The need for very high torque to cope with the torturous tracks of the Can Am series saw Ferrari build its biggest ever engine at around seven litres. 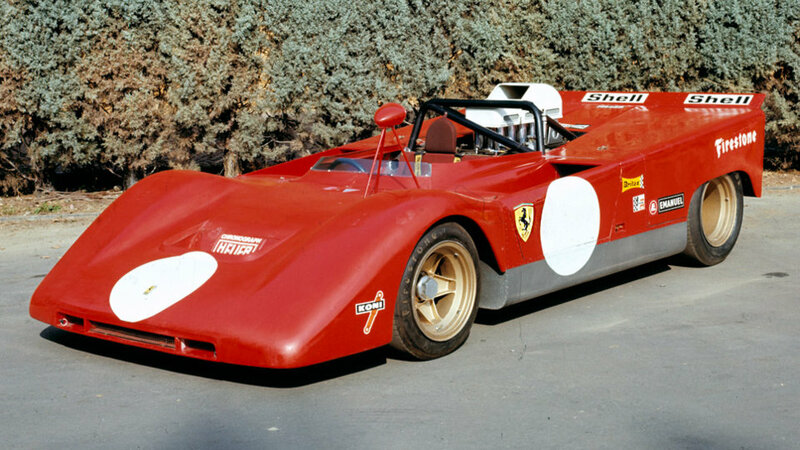 This model was a one-off, developed from a modified 512 M which was fitted with the new engine at the factory. 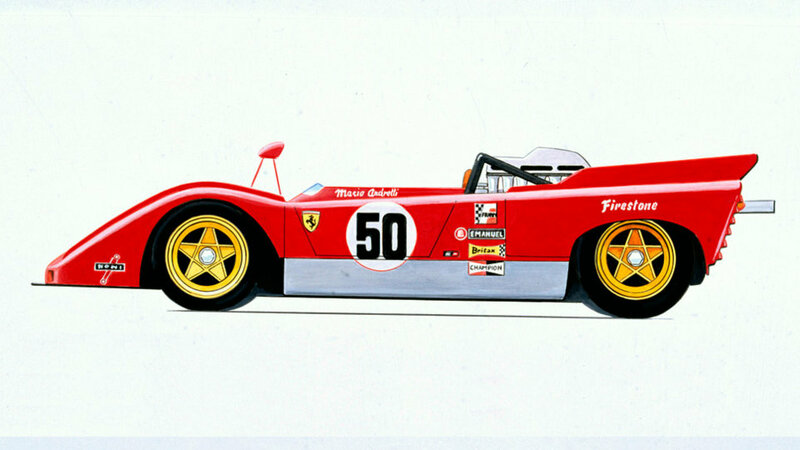 The car won on its debut at the Imola Interserie race on May 2 1971 with Merzario at the wheel. Andretti later came home fourth, in the American series at Watkins Glen. Accurate selection of the best shots of the 712 Can Am in high definition. 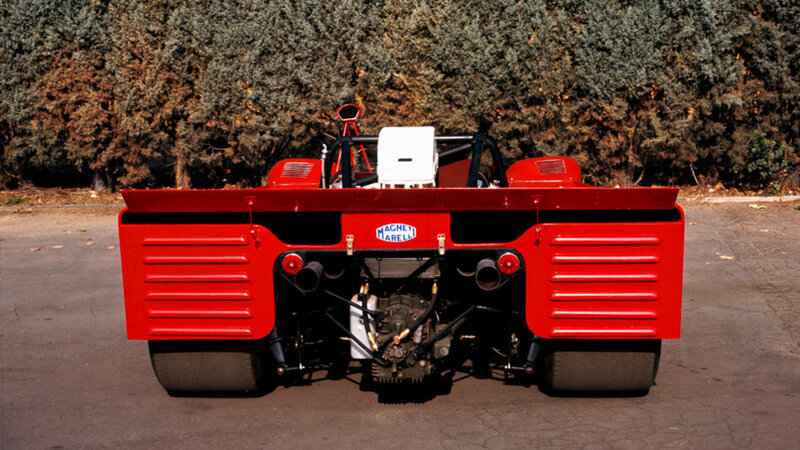 The photo gallery shows the distinctive features of this model Ferrari in 1971, focusing on the details and the most important parts.